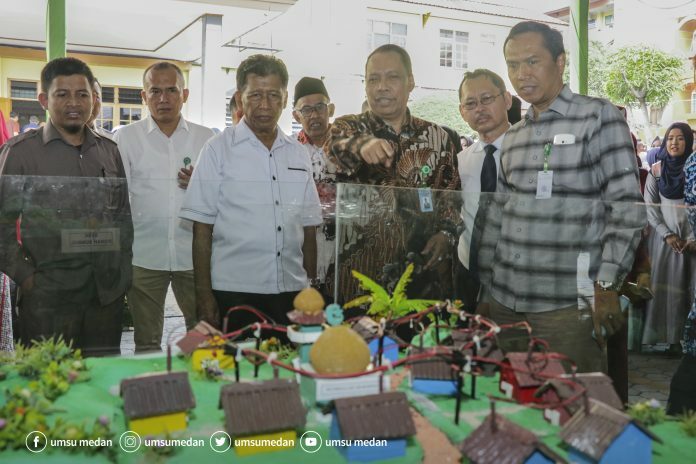 The University Muhammadiyah of Sumatra Utara (UMSU) held a product exhibition of the student’s flagship work on the occasion of the 62nd Anniversary for three days in the parking lot at Jl. Kapt Campus. Mukhtar Basri. The Chancellor of UMSU Dr. Agussani, MAP accompanied by the Daily Trustees, vice chancellor, head of faculty, postgraduate directors, institutions and bureaus, Tuesday (26/2), officially opened the expo which was attended by all faculties, institutions, Postgraduate and Falak Science Observatories (OIF) with the enthusiastic welcome from the participants and visitors. “I feel proud to see student work which is an innovative product that is expected to be developed and can be used widely in the community,” said the chancellor. The featured student products include micro-hydro power plants that have been applied to communities in the villages of Tigajuhar, Deliserdang, solar power plants, wind power plants and a number of other research results. The Expo also displays a number of products developed at the cost of the Ministry of Research, Technology and Higher Education. According to Chancellor Dr. Agussani, the superior MAP produced by these students and lecturers proved, the development of UMSU was in accordance with the roadmap prepared according to the strategic plan. The results of this achievement will be the basis for achieving the university’s strategic plan for 2033 into the 2000 World Class University. 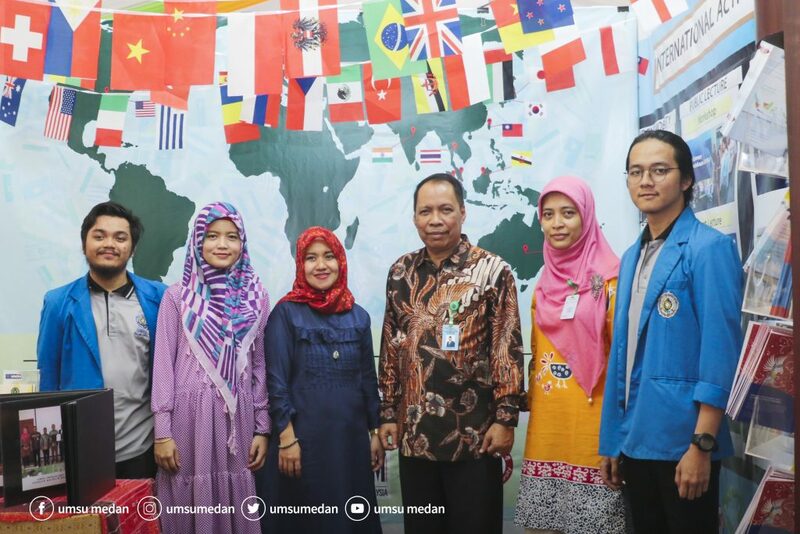 While the development of UMSU in Strategic Plan I (2013-2018) has been achieved, among them being the 100 best national universities, 30 percent of A Accreditation Study Program, being the best university at the Kopertis I Medan regional level (now L2Dikti), excelling in research and included in the main cluster , have a library with accreditation A. 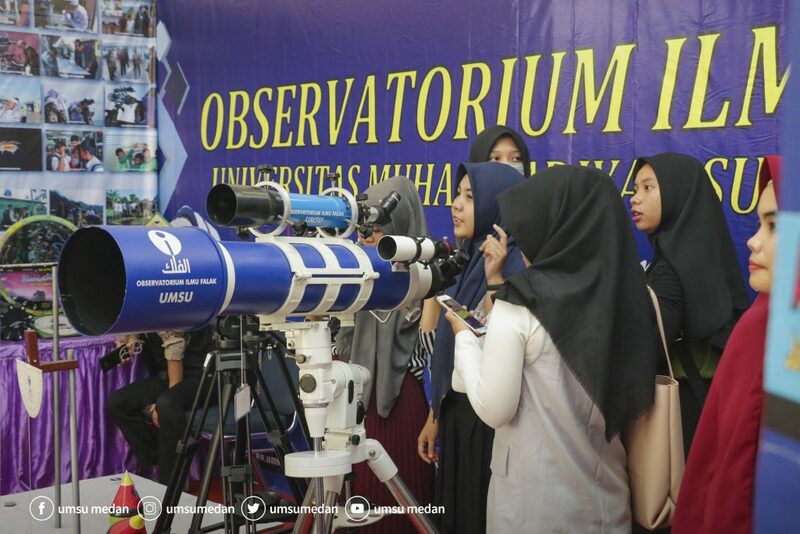 Then, in Strategic Plan II (2018-2023) UMSU became The Best National University with indicators achieving A accreditation from BAN PT, entering the cluster 2 ranking by Kemenristek Dikti included in the order of 100 of the best universities in Indonesia, reaching independent clusters in the field of research and service the community, 15 international certified work units and at the international level UMSU set a target of 200 best universities in ASEAN from various international ranking versions. In addition, Strategic Plan III 2023-2028 UMSU has great hopes through the results of its research will be able to produce innovations that can contribute to the development of science and technology for national civilization, of course by strengthening international cooperation. IV Strategic Plan 2028-2033, the Roadmap that was built of course with the innovation capital that is being exhibited now, UMSU launched to enter the World Class University Pilot Project and was able to reach the position of the world rank 2000. The Chancellor emphasized the purpose of this expo while at the same time proving that UMSU continues to exist at its present age to develop the nation’s civilization.